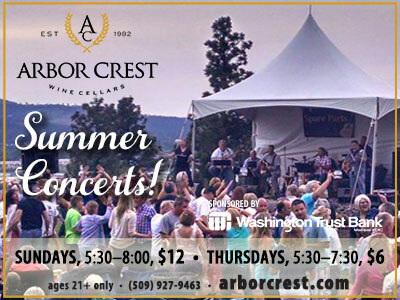 Don't miss the 'hottest' event of the year, Spokane Coeur d'Alene Living's Hot Summer Nights, this Friday, July 22 from 5:30-10pm, at Arbor Crest Wine Cellars. 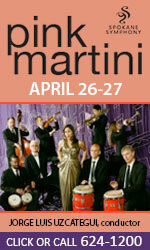 Enjoy swing dancing, 1940s themed music, classic rock and then end the evening with a night cap dance party. Mock casino, 2 photo booths, food, wine, art and fun! 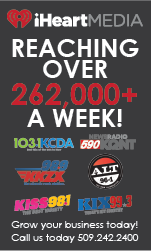 Contact Ticketswest at www.ticketswest.com or 800-325-SEAT. 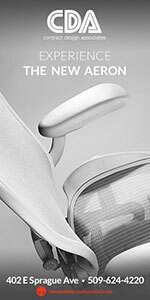 Don't miss this staged reading about one of sports' legendary heroes. Sport produces great human drama, and there is no greater sports icon to bring to theatrical life than Hall of Fame football coach Vince Lombardi, unquestionably one of the most inspirational and quotable personalities of all time. 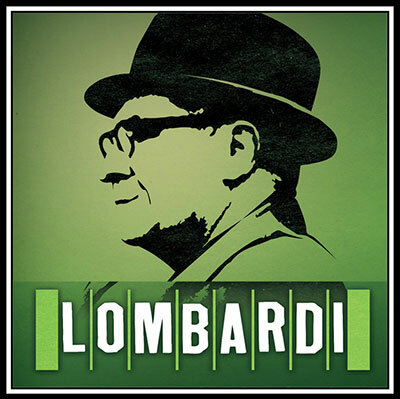 Though football's Super Bowl trophy is named for him, few know the real story of Lombardi the man - his inspiration, his passions and ability to drive people to achieve what they never thought possible. Lombardi is based on the best-selling biography When Pride Still Mattered: A Life of Vince Lombardi by Pulitzer Prize-winning author David Maraniss, and was written by Academy Award winner Eric Simonson. Go to www.cdasummertheatre.com for tickets and more information. 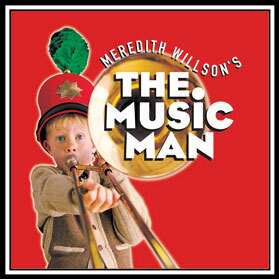 The Music Man is on stage this weekend and through the rest of July. And this Sunday, July 24 at 7pm, it's the 3rd Annual Teen Cabaret, an exciting chance to see the up-and-coming talent in our area. Go to www.cdasummertheatre.com for your tickets. 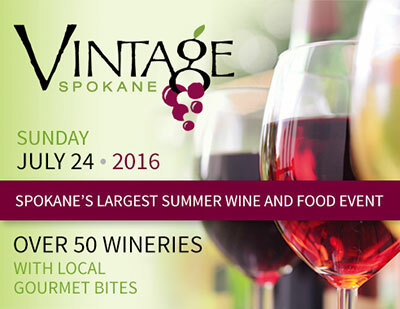 This year's Vintage Spokane, Spokane's largest summer wine and food event, will be at the Spokane Convention Center, Centennial Ballroom, this Sunday, July 24 from 5-8pm. 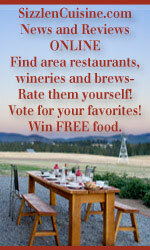 Taste wines from more than 50 of the region's wineries and food from many local restaurants. 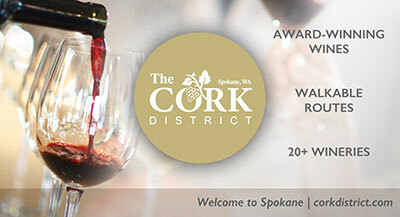 General admission tickets are $45, VIP tickets are $60, and allow you to enter the tasting one hour early. 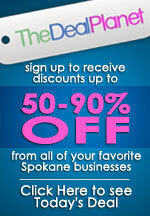 Visit vintagespokane.com. 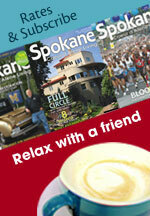 Proceeds will benefit Spokane Youth Sports Association. Julyamsh, the largest Pow Wow in the Northwest and among the largest in the nation, returns to North Idaho Friday for a three-day run at the Kootenai County Fairgrounds July 22-24. Julyamsh represents a flow of people, horses, dancers, campers, vendors and more around and through the fairgrounds facilities, including some 83 acres of camping area. Between 600 and 800 dancers are expected, males and females of all ages performing in a variety of categories and competing for $175,000 in prize money. At least 25 food vendors will be set up to serve guests and participants alike. Another 60 or more booths will be occupied by arts and crafts vendors, offering authentic native works for sale, or memorabilia. Grand entries are at 7pm Friday; 1pm and 7pm Saturday and 1pm Sunday. 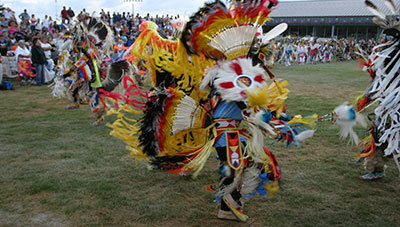 Horse parades, with horses and riders in full regalia, will precede each grand entry by about one hour. Artificial turf is being laid in the dance area, ensuring a dust free three days. Host Drum is provided by Bear Creek of Sault St. Marie, MI. Bear Creek will head up an expected 50-60 drum groups. Drum groups, dancers and vendors will come from tribes and bands all across the U.S. and Canada, making Julyamsh a truly international celebration. In past years, a charge for parking has been $5 per car. Parking at this Julyamsh is free, but there is a $2 per person charge for attendance. For more information and a full schedule of events visit Julyamsh.com. Your only chance to see Comedy Central's Nick Swardson at the Spokane Comedy Club is this Saturday night, July 23 at 10:30. All the other shows are sold out. 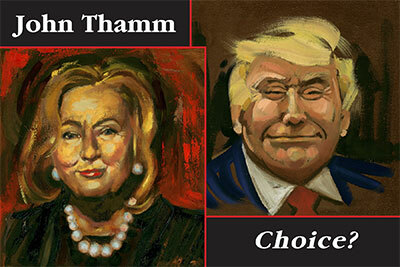 Artist John Thamm has an oil on canvas show titled 'Choice' coming to the Kolva-Sullivan Gallery, 115 S. Adams, next month. 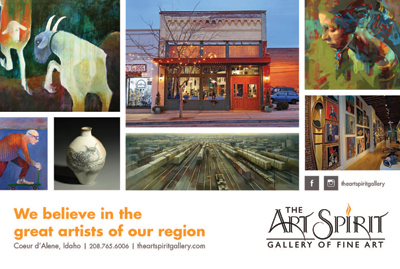 The Opening Reception is Friday, August 5 from 5-8pm and the show runs through August 27. John Thamm, a resident of Peaceful Valley, was born in southern Idaho, received his Master's in Fine Arts from the University of Idaho, and studied portraiture at the Art Students League in New York City. 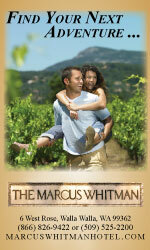 His artist's journey has led him across the United States and the Atlantic. He has taught in the United States, Europe, and Mexico. John's work is in private and museum collections throughout the United States. John is an accomplished portrait painter and relishes political and social commentary--he comments on war, politics, and religion. He has worked as a courtroom sketch artist for local media as well as CNN, ABC, PBS, and the Associated Press covering high profile cases such as Ruby Ridge, the siege at Waco, and Aryan Nations in Coeur d'Alene. John seeks to set the stage for questioning--to evoke thought and commentary. Spokane Valley Summer Theatre will present the family classic, Oliver! by Lionel Bart, Friday, July 29 through Sunday, August 7. The Tony Award-winning production for Best Original Score features 44 veterans and newcomers to musical theatre and a 10 piece live orchestra. 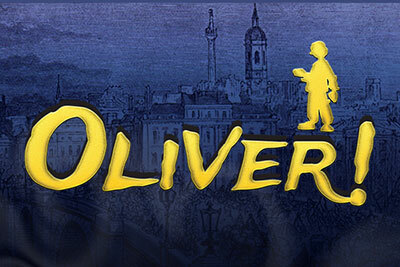 The role of Oliver will be the stage debut for 10-year-old, Hudson Drake. SVST will feature the professional talents of Joshua Vander Plaats as Fagin, Caryssa Murphy as Nancy, Paul Villabrille as Bill Sykes, Andrea Olsen as Widow Corney, Michael J. Muzatko as Mr. Bumble, Dennis Craig as Mr. Brownlow and Terry Seaton and Darnelle Preston as Mr. and Mrs. Sowerberry. Oliver! 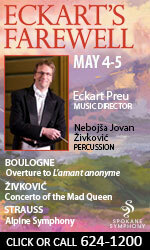 is directed by Executive Artistic Director, Yvonne A.K. Johnson with choreography by Ashley Gunn and Ali Waid. Music Direction by David Brewster, Set design by Michael J. Muzatko and Costume Design by Shweta Green and Costume World Theatrical. 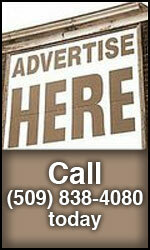 Tickets are available online at svsummertheatre.com or through the box office 509-368-7897. 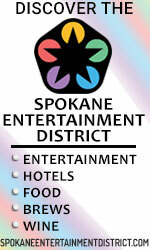 The state-of-the-art theatre is located in the Central Valley Performing Arts Center at 821 S. Sullivan Road, Spokane Valley. The Greenbluff Growers 38th Annual Cherry Pickers Trot and Pit Spit is tomorrow, July 21 in Green Bluff at the Harvest House, Church, Grange and Country Store intersection. 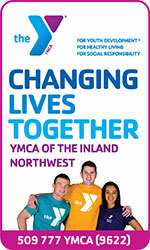 Festivities include Food, fun, pies and music starting at 5pm. The free Pit Spit starts at 5:30 and the Tot Trot for kids begins at 6. The 4-mile Cherry Pickers Trot takes place at 7. Register at www.runsignup.com. 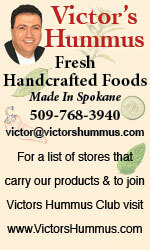 For more information, visit www.greenbluffgrowers.com.